A Tribute To My Friends is just another name for Overflow, the song is exactly the same. But another version of the Island CDS does have Overflow. Island also released a cd-single with a round black “promo only” sticker and a bigger one that says : “After a two-year break dEUS return with a new single and LP. The first single for the album is a soundtrack to the Belgian film ‘Turnpike’ which is opening for the film ‘Trainspotting’ accross Europe. 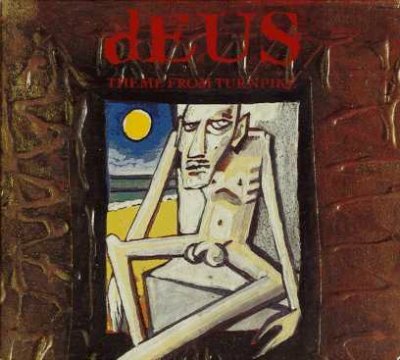 After this soundtrack single be prepared for new dEUS tracks that will take you to higher plains. The LP will be out early next year. Stay tuned…” A third sticker mentions July 1, 1996 as release date.